The most used and complete. I bought it in 1993, with a minimal configuration (2 Mb RAM and a 52 Mb hard disk). I extended and enhanced it step by step, it really is my favorite computer. 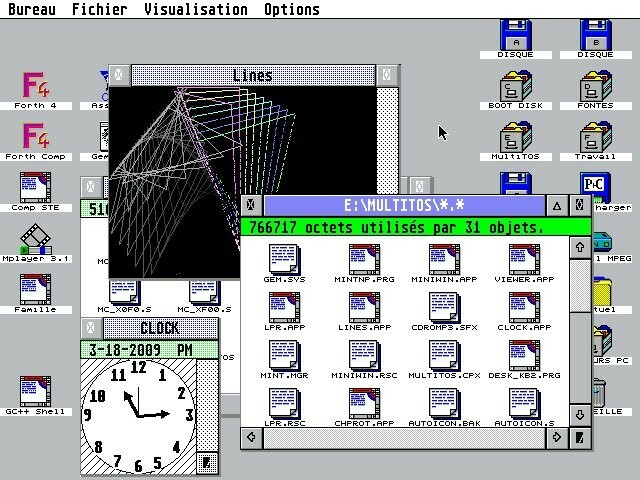 I can't count the hours I spent typing lines of codes on its keyboard. On the Download page, you'll find some of the programs I wrote. 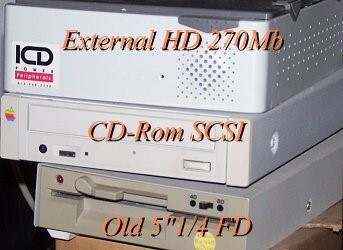 Well, from this starting point, it grew up and became a real multimedia computer: video capture, sound capture, CD, ZIP, graphic card, ram expansions, etc... I still use it, most for programming. My new full colored desktop! Video playback is certainly possible with M_Player. 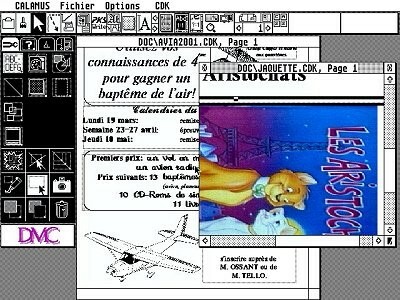 The picture shows a TOS 3.06 desktop using COLOR_TT which gives the windows a 3D effect, and colors the icons. 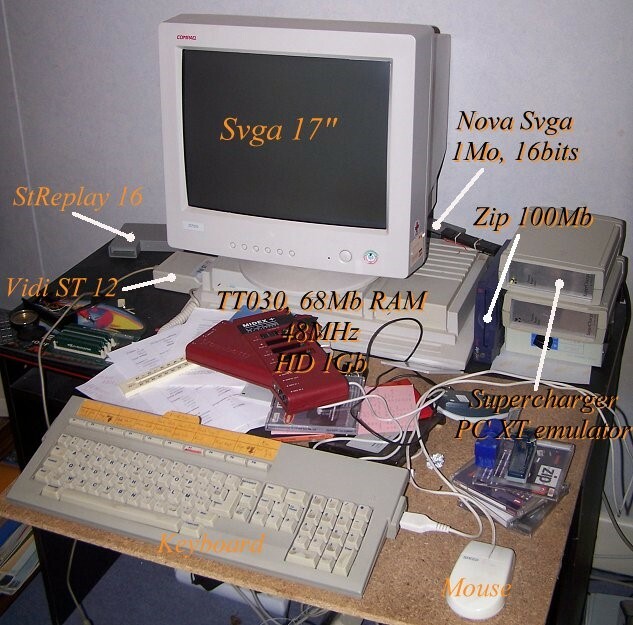 This TT features the NOVA 32 Kb graphic card, whose current mode is 640x480 High Color. It can be boosted to 800x600 in this mode or to 1024x768 in 256 colors. Here M_Player is set as an accessory and plays back a musical clip. The same program allows you to assemble videos from images and sounds. You can also capture videos using the VIDI ST 12 cartridge which digitizes up to 320x480 and 4906 colors. It has a PAL input and a NTSC one. Here I'm taking a shoot of my Apple II in the room. As to the color digitisation, only still frames may be taken because the three RGB layers are taken separately. My MagnumTT 64Mo card allows me to capture 279 color frames. However, it is possible to capture motion pictures in 320x240 16 grayscales, up to 12,5 frames per second. In this case the TT may store up to 1683 frames, which enables an autonomy of 2'15" (12,5 fps) or 3'30" (8 fps) – I use the latter setting more often. There is also a last mode of digitisation in 160x120 16 grayscales which allows to store up to 6732 frames, that is to say an autonomy of 14'01" (8 fps). Programming, of course, is one of the main purposes of my computer. Here you can see my favorite tool: ASSEMBLE by Brainstorm. 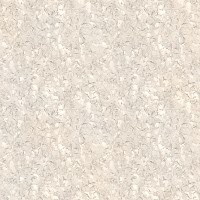 The picture shows M_Player's listing (about 700 Kb), assembled in 8.65 seconds. That tool is fast, very reliable, and manages the errors in a clear way. The MC 68030's Assembler itself is a shining example of clarity and power. 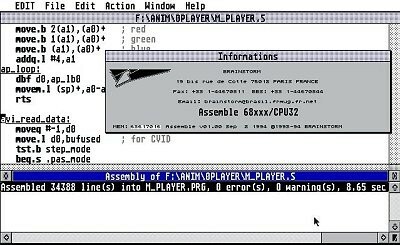 I have programmed a Forth interpreter/compiler in Assembler. It runs on the TT but also on the ST(e) series. It's a disturbing language, concise and efficient, which uses the stack as a RPN calculator. Here you can see the shortest process able to calculate two numbers' greatest common divisor (GCD). 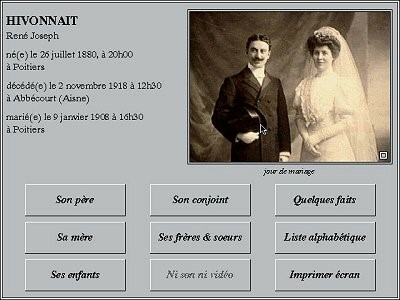 I have included all possible system calls in the Forth, and you can make complete softwares with events, windows and menus management, GDOS printing – just like this genealogy software: Famille. I used to work on Calamus a lot for page setting. Once you'd learned the basics, the software's power would reveal itself and you would have a hard time using any other DTP system without "grumbling" about the ergonomy or the functons lack. The MagnumTT features two bars of 32 Mb each. 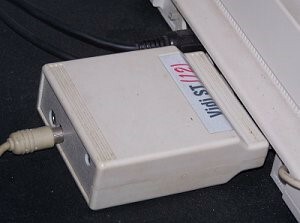 The TT Ram is visible only by the processor, so it's never called upon by the peripherals' DMA accesses, and enables a greater speed for readings and writings. This is just mere overclocking: the 32 MHz clock is replaced with the 48 MHz one for the MC68030 CPU, as well as the MC68882 FPU. There are three additional disks: the hard disk is parted in eight, seven of those parts having a 16 Mb size and being used by the Supercharger's MS-DOS. The CD reader can also burn discs but I've never managed to have it run in that mode. 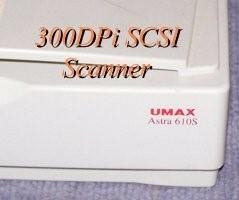 A SCSI scanner of average making, with a rather quick digitising. The driver is by Homa Systems. All This Stuff Needs Food! 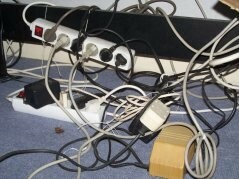 Some power cables are needed to have all that stuff run! Video digitizer cartridge, up to 320x480 4906 colors, 12 bits. In color mode, you are limited to still or little moving frames (the three RGB layers are taken separately). In 16 grayscales mode, motion capture is enabled! I boost it up to 12.5 fps in 320x250 mode and up to 9 fps in 160x120 mode, because the shrinking takes time.